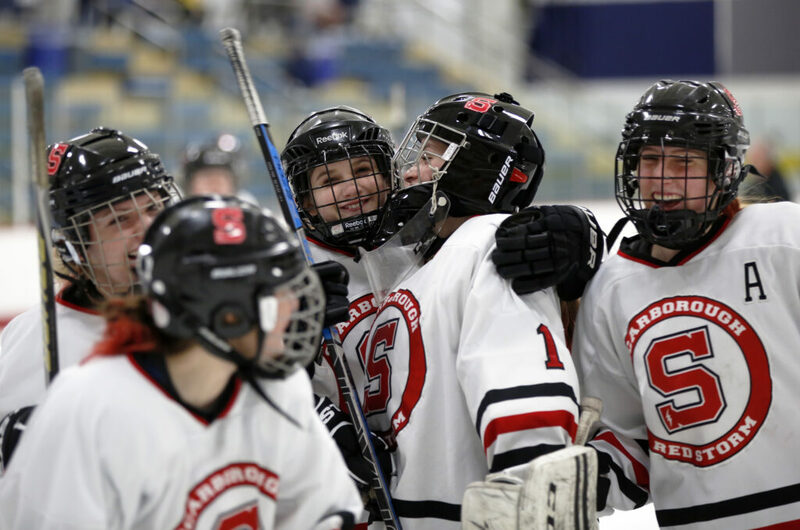 Scarborough goalie Ariella Swett celebrates with her teammates after the Red Storm beat Falmouth 5-2 in the South region semifinal on Friday in Gorham. 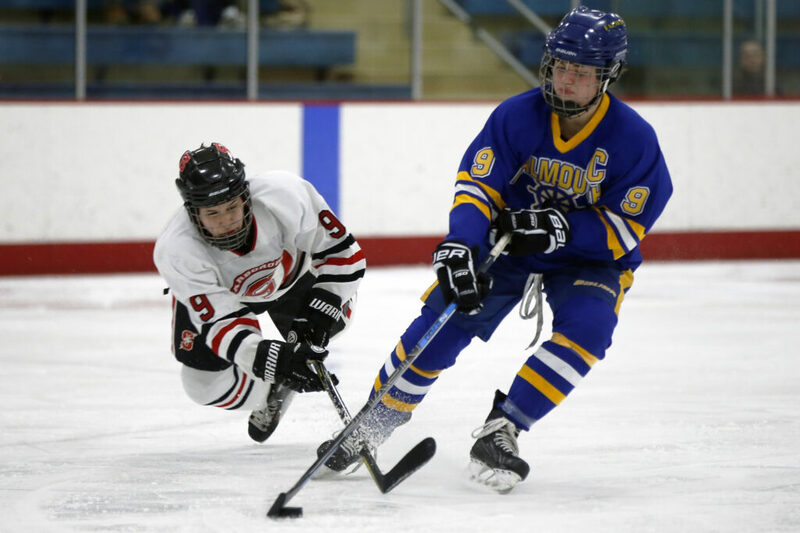 Scarborough's Calynn Gendreau maneuvers the puck around Falmouth's Brooke Flaherty. 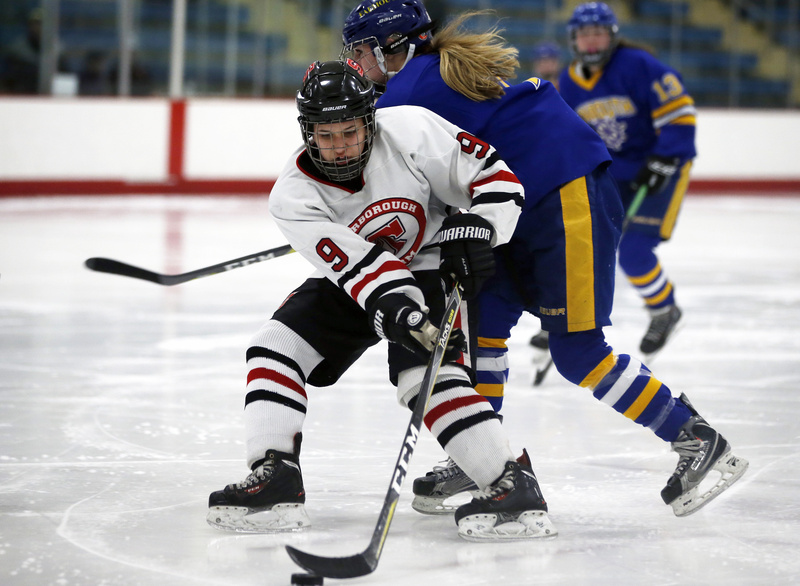 Scarborough's Evelyn Boardman skates past Falmouth's Kayla Sarazin moments before scoring. 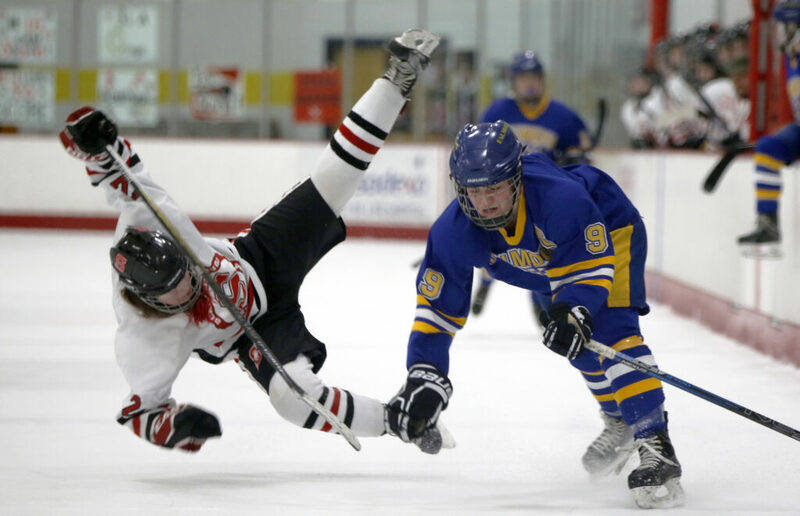 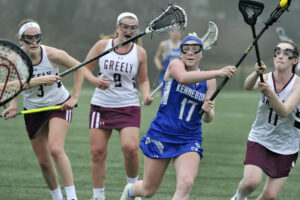 Scarborough's Kathleen Murphy tumbles after colliding with Falmouth's Kayla Sarazin. 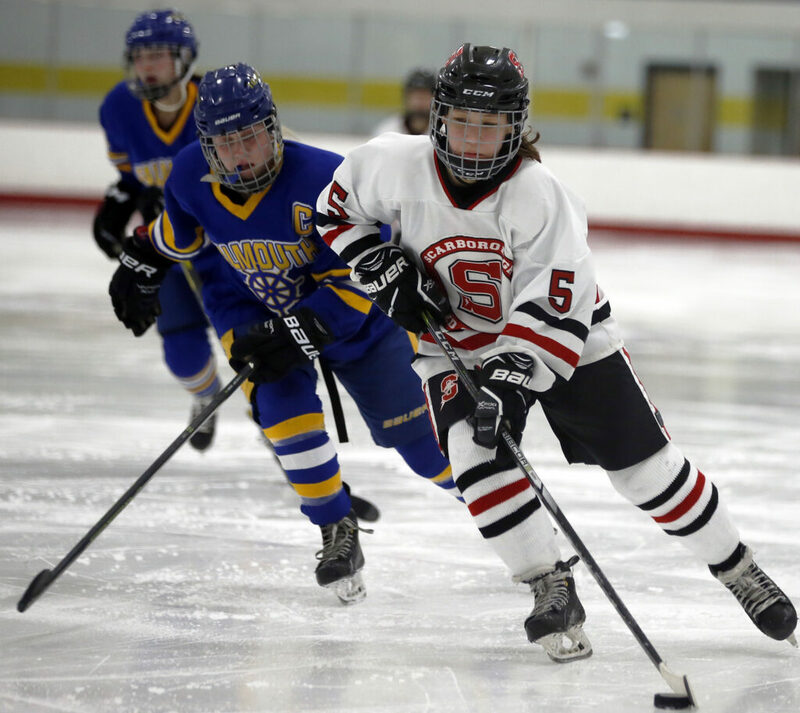 Scarborough's Calynn Gendreau falls after colliding with Falmouth's Kayla Sarazin.